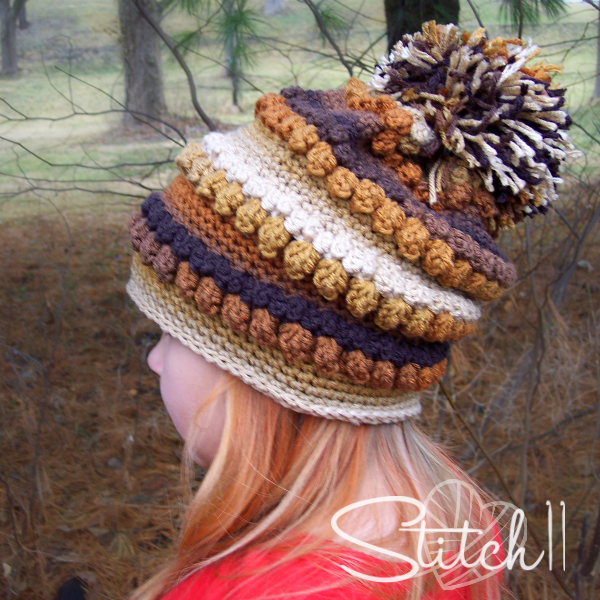 My goal was to use only one skein of Super Saver Stripes – Latte Stripes, but to make this hat have the perfect slight slouch to it and a large full pom pom, I had to bust out a second skein. I didn’t even use half of the second, leaving you enough yarn to make fingerless gloves or an ear warmer set! -Work 3 half double crochet (hdc) stitches in the same stitch. -Drop the loop from your hook. -Insert your hook from front to back under the top 2 loops of the first half double crochet of the group. -Grab the dropped loop with your hook and pull it through the stitch. -Work 5 double crochet (dc) stitches in the same stitch. -Insert your hook from front to back under the top 2 loops of the first double crochet of the group. Note- Your starting CH length will be the width of the hat. 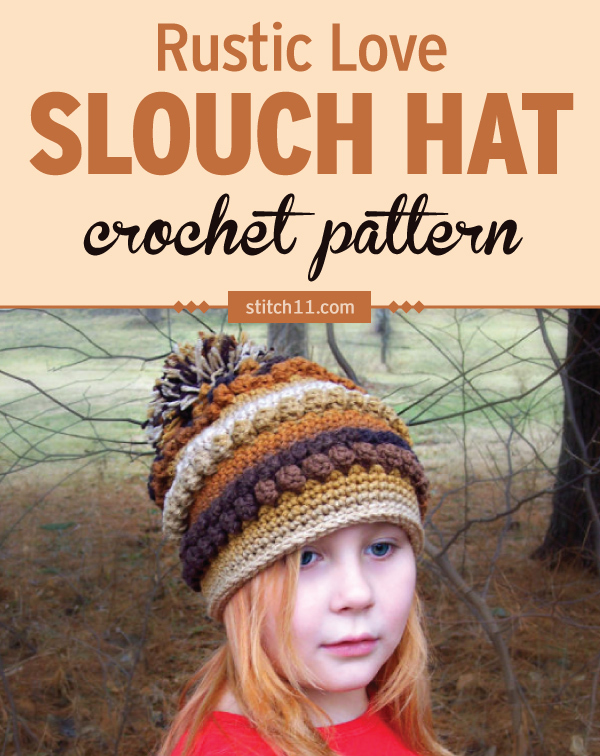 You will continue with the same number of stitches through the entire slouch. 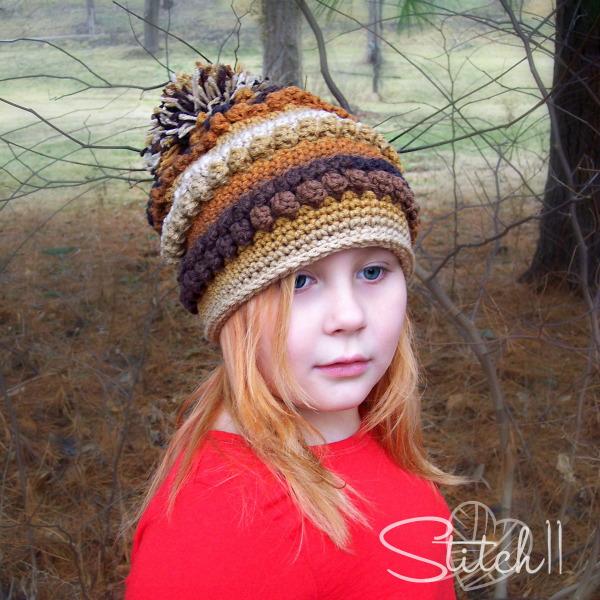 If your starting CH is too long or too short to fit around the head you are making the hat for, you can adjust the size by counts of 2. Note – This pattern is written to fit Child /Small Adult. Rounds 8-25: Repeat rounds 2-7 Three more times. Round 30: CH 1. FPSC around each stitch around. Join to first FPSC. With your starting end, weave back and forth between each stitch from round 1. Close the hole as much as possible. You will still have an opening about the size of a dime. Make your Secure Pom Pom. Attach it over the opening. Secure it well with your yarn needle and it will cover the hole. I love your patterns and have been crocheting for just a couple years now. 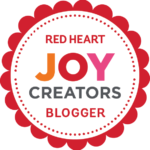 I recently started my own blog and was wondering if you could add me as a contributor to your Pinterest page? Thanks for any help!